While residents in Arlington County, Virginia, won't see a property tax hike hit the books, they are still going to wind up paying more. Get the details. WASHINGTON — While residents in Arlington County, Virginia, won’t see a property tax hike hit the books, they are still going to wind up paying more, even after the Arlington County Board voted to keep the existing tax rate for 2018. The board’s Feb. 24 vote came after County Manager Mark Schwartz proposed a fiscal year 2019 budget that requires cuts in services and staffing to close an estimated $20.5 million revenue-expenditure gap within the existing tax rate. Schwartz did point out that even without a tax rate increase, the average Arlington homeowner will still see an increase in taxes and fees of $297 a year, a 3.5 percent increase over taxes and fees in FY 2018. The increase is due largely to the 3.8 percent increase in residential property assessments in 2018. “The demands on our budget are growing, and with continuing challenges in our office vacancy rate, our revenues are not keeping pace,” Arlington County Board Chair Katie Cristol said. As cost pressures from Metro and new schools grow, the fiscal year 2020 and 2021 budgets will require additional fiscal discipline, Cristol said. “Tough choices lie ahead for our community, but by taking these steps now to rebalance in county government spending, we aim to ensure Arlington’s fiscal sustainability in the years ahead,” she said. Three members of the board voted to advertise a real estate tax rate of $1.006 (including stormwater tax) per $100 of assessed value, the same as the 2017 calendar year tax rate. Cristol and board members John Vihstadt and Erik Gutshall, voted yes. However, two members, Vice Chair Christian Dorsey and board member Libby Garvey voted no, saying they preferred to advertise a tax rate of $1.011 per $100 of assessed value. 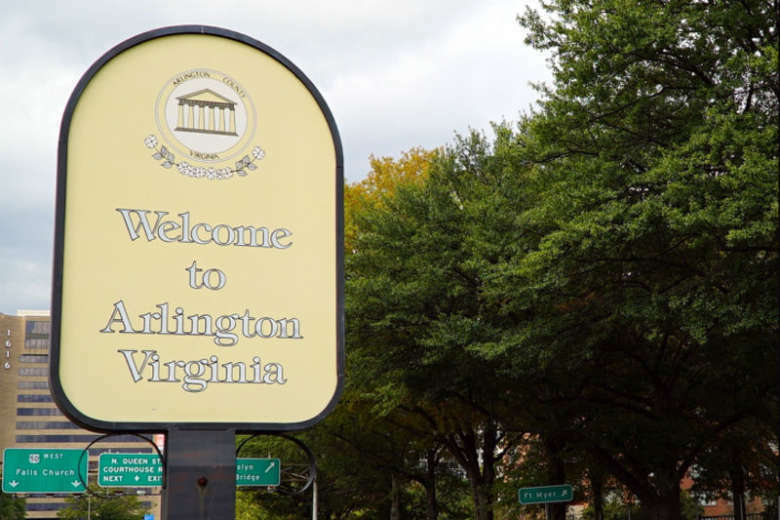 “Arlington is at risk, with legislation pending in Richmond, of losing nearly $2 million in revenue that will affect both the county government and schools budgets,” Dorsey said. By law, the county can adopt a real estate tax rate equal to or lower than what is advertised, but cannot adopt a higher rate. The board also voted to advertise higher rates for some fees. The board will hold a public budget hearing at 7 p.m. on April 3 and a public tax rate hearing at 7 p.m. on April 5. The board will adopt the budget on April 21. The board’s action comes days after Alexandria City Manager Mark Jinks also proposed a budget with no tax increases. On Feb. 20, Jinks presented the Alexandria City Council with a proposed general fund operating budget of $742.3 million and an all funds budget of $909.6 million, representing increases over the current year of 1.9 percent and 2.2 percent respectively. “Last year, the City faced flat revenues and unexpected new costs,” Jinks said. “Because we made responsible choices, we are in a position to maintain our progress this year without significant adverse changes. I am proud to propose a budget with no tax rate increases, no major service reductions, and funding for 100 percent of the superintendent’s requests for the Alexandria City Public Schools operating budget and 10-year capital plan,” he said. The proposed budget also includes $252.8 million in operating funds and debt service for public schools, a 4.2 percent increase over FY 2018 funding, and invests $2.1 billion over 10 years in Alexandria’s Capital Improvement Program. The proposal also keeps the real estate tax rate at the current rate of $1.13 per $100 of assessed value. This would increase the average homeowner’s tax bill by 3.3 percent, $197 per year, or 55 cents per day — the lowest dollar increase in six years. The proposals also reflect $4.3 million in operating budget reductions across departments. City Council will hold 10 work sessions throughout the spring to review the proposed budget with City staff before adopting the FY 2019 budget on May 3.